BEFORE I FALL … COMING TO A THEATER NEAR YOU | Nam Writes. Looks like Before I Fall by Lauren Oliver (author of Delirium fame) will be made into a movie by Fox 2000. 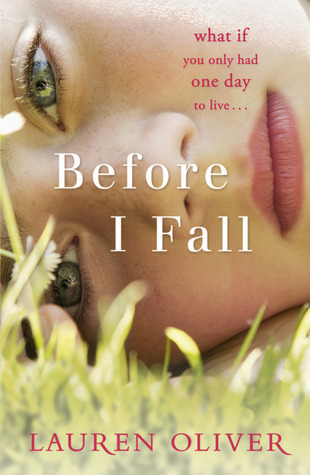 According to Oliver’s blog, Before I Fall has signed Director Gina Prince-Bythewood who directed The Secret Life of Bees. I read Before I Fall a while ago and very much liked the concept in which Samantha Kingston relives the last day of her life multiple times. I’m curious to see how how Prince-Bythewood avoids the trap of making a non-funny version of Groundhog Day.